Apple's somewhat controversial new store on Manhattan's tony Upper East Side opened for business this weekend, and photos of the remodeled bank reveal a number of one-off design flourishes including a dedicated Beats display wall and a bank vault-turned-VIP room. 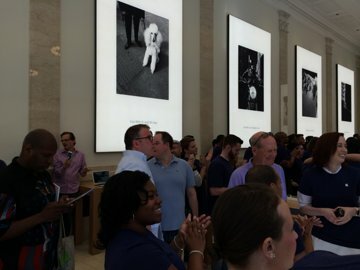 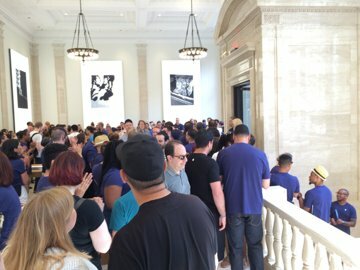 Thanks to AppleInsider reader Ryan from Traced Inc.
Apple retail chief Angela Ahrendts was on hand for the store's grand opening on Saturday, where residents of the affluent neighborhood got their first look at what turned out to be a unique addition to the company's retail empire. 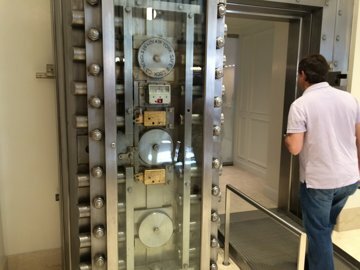 The new location— housed in a 93-year-old former bank at the corner of East 74th Street and Madison Avenue— looks more like a boutique than an electronics store. 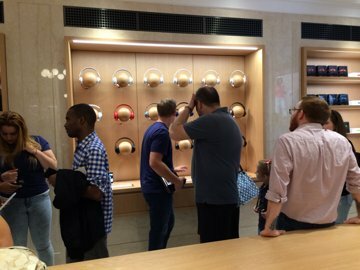 In one interesting choice, an inset wall with a number of round, wooden "heads" hold a display of Beats headphones that is the first of its kind. Each pair of headphones is connected to an iPhone and available for customers to try. 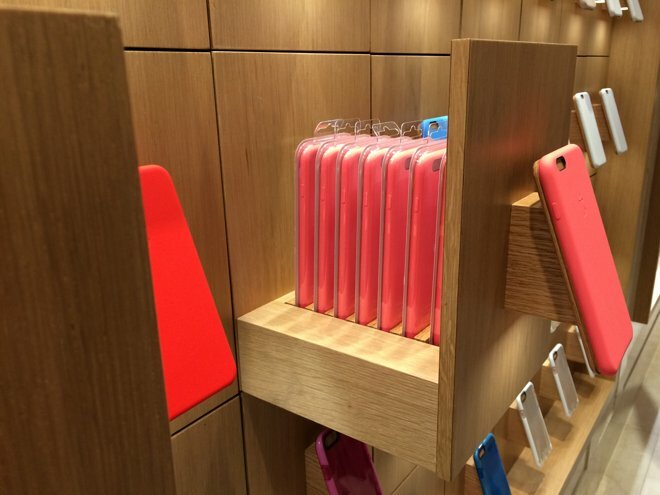 Another detail that harkens back to the building's history is a wall of phone cases, with a single case of each type displayed on a protruding wooden plank that also functions as a handle. Pulling on the handle reveals a drawer with cases for sale in slots behind the drawer— a design element apparently meant to evoke a wall of safe deposit boxes. 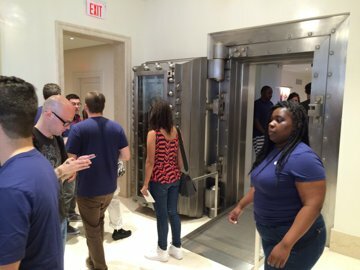 Downstairs, the old bank vault has been left in place and converted into a VIP room with couches, a large television, and laptops and iPhones displayed along the wall. 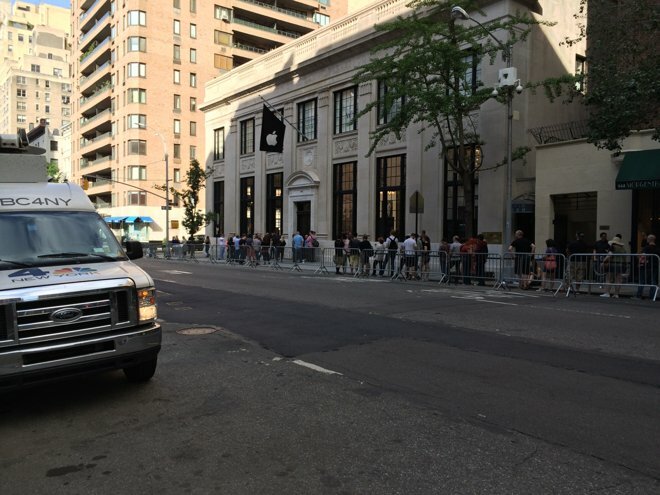 The vault will reportedly be used to host Apple Watch Edition try-on appointments. While many area residents were opposed the idea of the new store, Apple has made a number of concessions to help its latest outlet blend in. 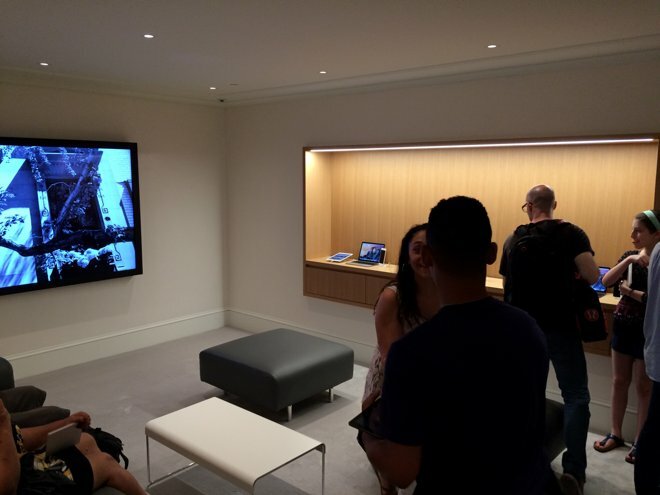 The company brought back its personal shopping service to cater to the new location's more upscale clientele, scaled back its usually brightly-lit exterior signage, and introduced shorter opening hours.